What a gorgeous composition and great use of monochrome. 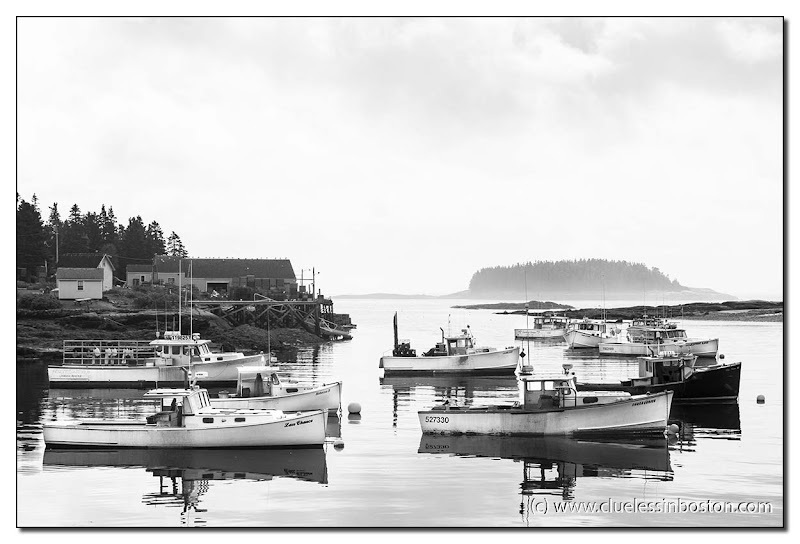 I love how it appears that the boats are at rest, having a chat, after a long morning out catching lobster! This one is perfect, Clueless. Nature and you both did great jobs.